Many of us experience pain in our childhoods, and young people face trauma all over the world. How is it possible to recover? Do those abused always go on to hurt others? 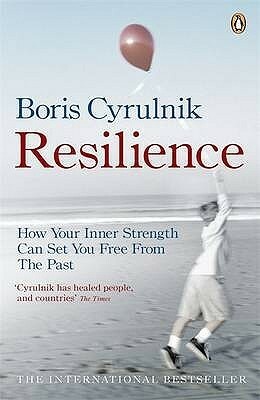 This incredible bestseller has overturned the way we view trauma, by showing how the extraordinary power of resilience can heal damaged lives.Renowned psychoanalyst Boris Cyrulnik has dealt with many younMany of us experience pain in our childhoods, and young people face trauma all over the world. How is it possible to recover? Do those abused always go on to hurt others? This incredible bestseller has overturned the way we view trauma, by showing how the extraordinary power of resilience can heal damaged lives.Renowned psychoanalyst Boris Cyrulnik has dealt with many young victims of distress and he relates stories of children who have been abused, orphaned, fought in wars and escaped genocide, yet who have not only survived, but grown in the face of adversity. By the way we deal with our memories and emotions, he shows, we can reshape our lives and transform pain into something stronger - just as a grain of sand in an oyster becomes a pearl.Resilience is not just about resisting; it is about learning to live. This life-changing book points the way towards hope and happiness. A good start to understand resilienceAuthor talks mostly about the resilience of concentration camp survivors. Most interesting to me was the affect from a generational perspective. The subject is interesting but the book could have used some minimal structure or at least some headings. I listened to the book and was constantly confused as what the author was writing about. "What's the topic again?" I guess long sweeping narratives and endless case studies is the standard structure for psychoanalytic books, but it doesn't work for me. Some of this was good information, but nothing new. It just confirmed what I already know. I did not like the way it was written. Also, it was not anything like what I expected after having read the description on . I was very disappointed. An interesting read, but lacked detail and deeper analysis. Topics were plentiful and skimmed over; I would have preferred fewer, more detailed insights. Maybe a little long, but certainly leaves you with something to think about, touching on a few home truths along the way. Très utile pour les éducateurs. J'ai lu ce livre pour m'aider à monter une formation en cirque social et il s'est avéré très intéressant. Some interesting ideas, but overall really theoretical and less evidence-based.